Once a review has closed, your manager will share your review packet with you. 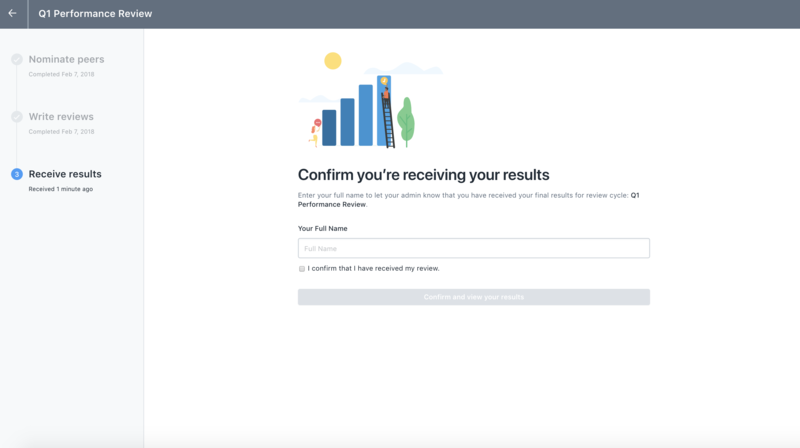 Once they've done this, you'll see see a task on your "You" page asking you to "View and confirm receiving your review packet." Clicking in, you'll be prompted to confirm receipt of the review packet. 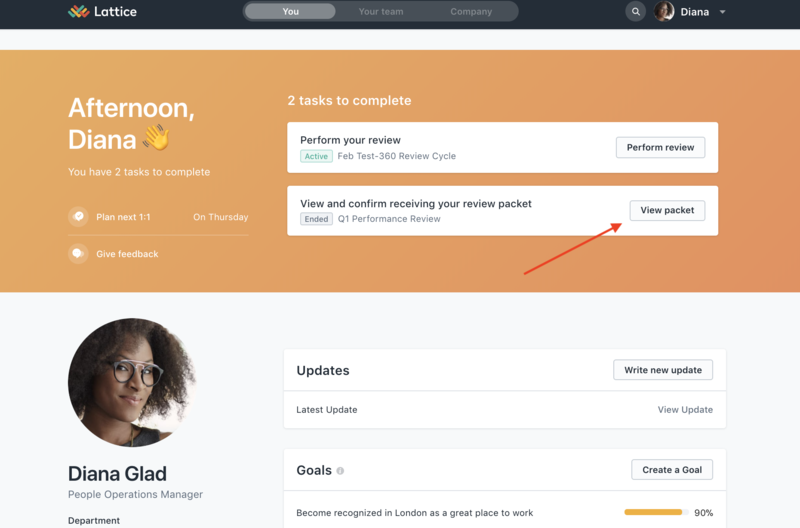 This step is included to give visibility into where the review process is for your admins and HR team. They want to make sure that reviews are shared. After typing in your name and confirming receipt, you'll be taken to your review packet. You'll see your manager's remarks on the top. What reviewer feedback you see will depend on the visibility setting of the review.